A hard-fought season filled with early morning conditioning sessions is finally coming to a close as the Maroons enter their second-to-last meet of the year this Thursday in Naperville, IL at the North Central College Dr. Keeler Invite. With the women coming off of a second-place showing and the men off a fourth-place finish at the UAA Championships last week, the South Siders look to build upon that with an even better performance at North Central. 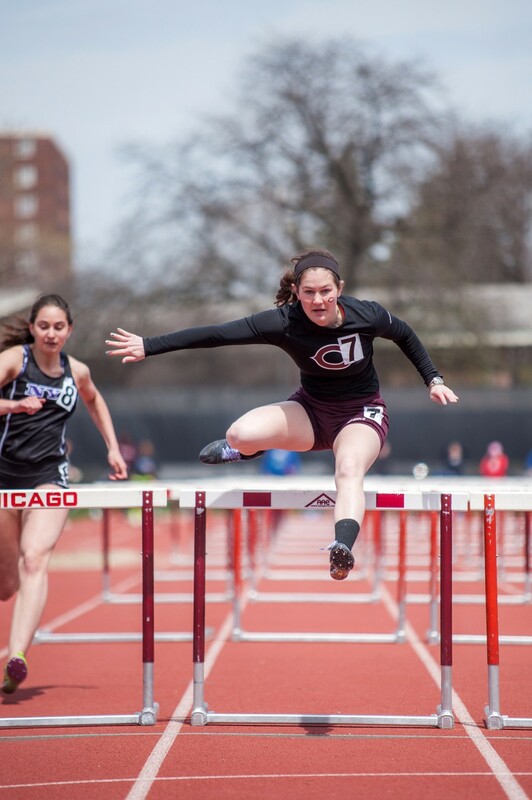 Notably, the main goal for Chicago concerns not only a strong team showing, but also powerful statements by individuals as various Maroons look to extend their seasons and qualify for Nationals later this month. Though the Maroons will surely remain motivated, the stakes are much lower at the Dr. Keeler Invite. Some hoping to qualify for Nationals are the 4x400-meter women’s relay team, which qualified last year and is looking to repeat that performance. The relay consists of first-years Eleanor Kang and Michelle Dobbs, second-year Alison Pildner, and third-year Francesca Tomasi. The team is coming off of a first-place finish at the UAA Championships, momentum they hope to use to propel themselves this weekend at Naperville and on to Nationals. Other athletes looking to justify seasons of hard work include the men’s 100-meter sprinters second-years Jake Romeo and Ben Clark, along with first-year Temisan Osowa, all attempting to improve on season highs at the UAA Championships. There are a variety of other athletes who are looking ahead to this weekend with Nationals aspirations. These athletes include UAA Champions fourth-year Sarah Peluse in the 10,000-meter, Dobbs in the 800-meter, third-year Semi Ajibola in the high jump, and national champion Bennett in the pole vault. “I think for what our people are trying to do at this point in the season, this will be a very good meet, and we could have some pretty special marks and times coming out of this meet,” Bennett said. The Maroons travel to Naperville this Thursday, where they begin competition at 12:15 p.m. and continue on Friday at 3 p.m.